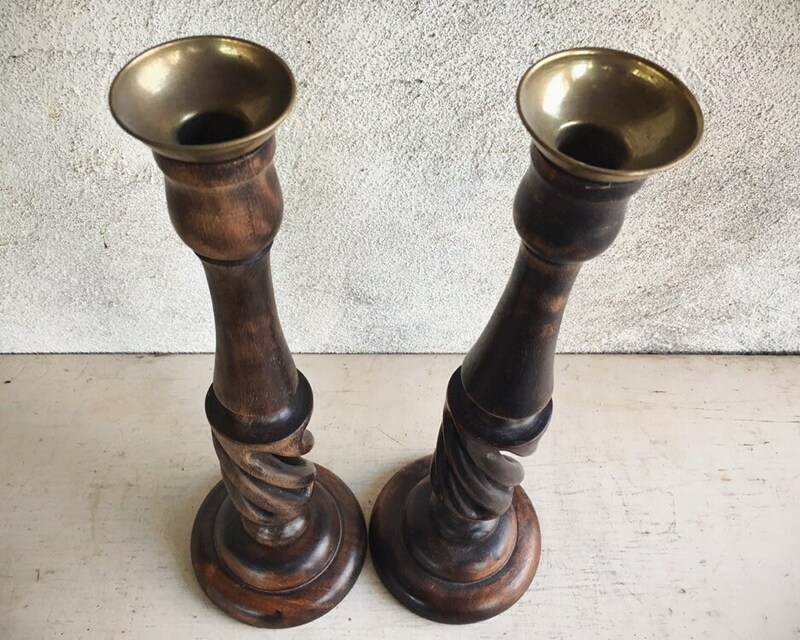 This vintage set of tall candlestick holders has a spiral design that moves into a solid upper half, topped with a metal cup. The wood stain is dark brown, and with the grain showing through is striking. 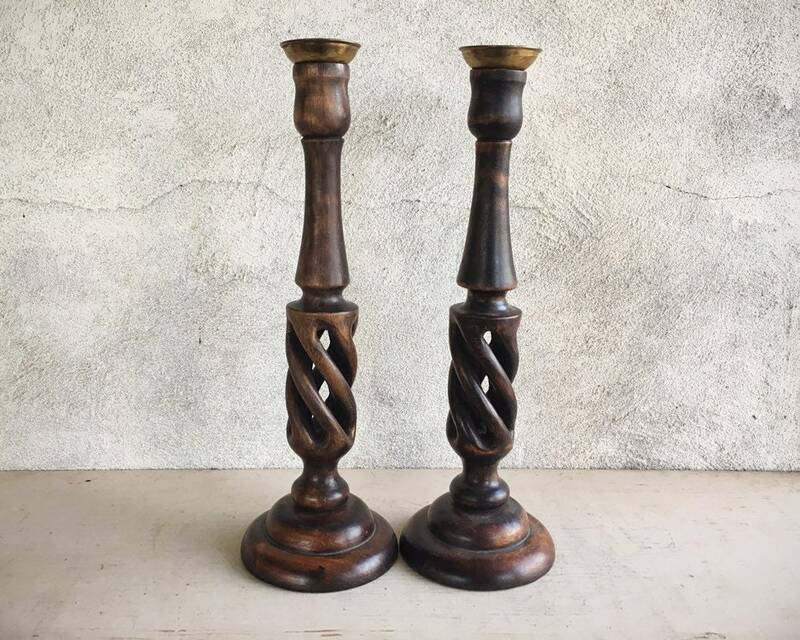 The hand carved organic/natural feel of the spiral lends itself to a modern rustic interior, and truly these are versatile and could fit into many decor settings. 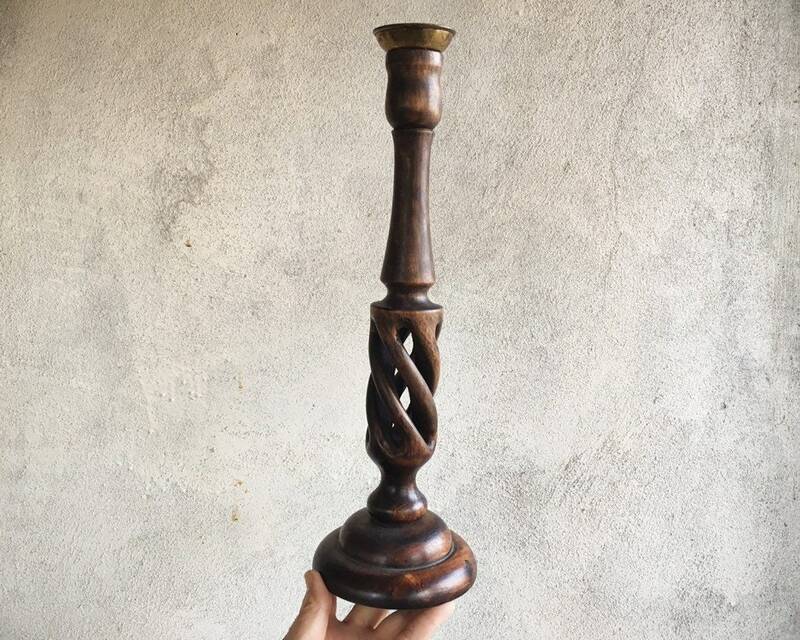 The candleholders are about 14" tall each and the base is 4-1/2" in diameter. 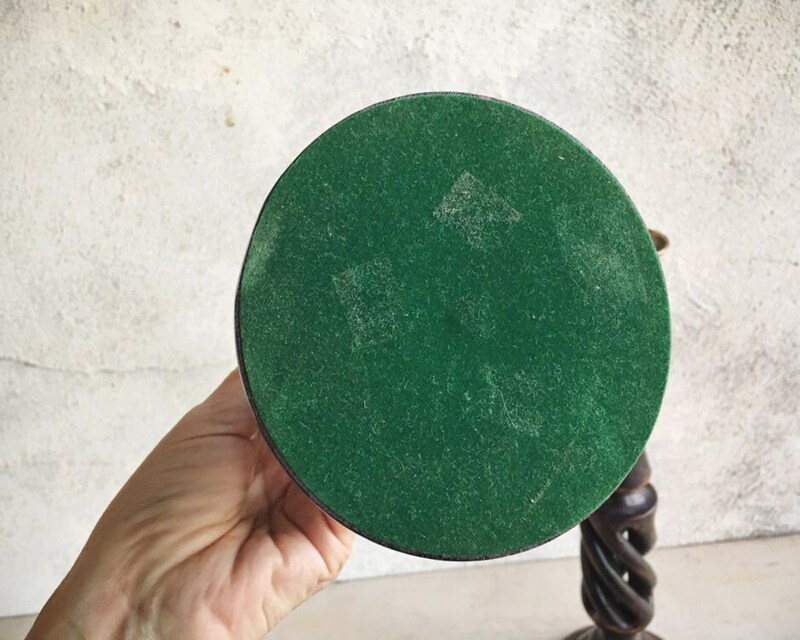 Base is covered with green felt. In good condition. 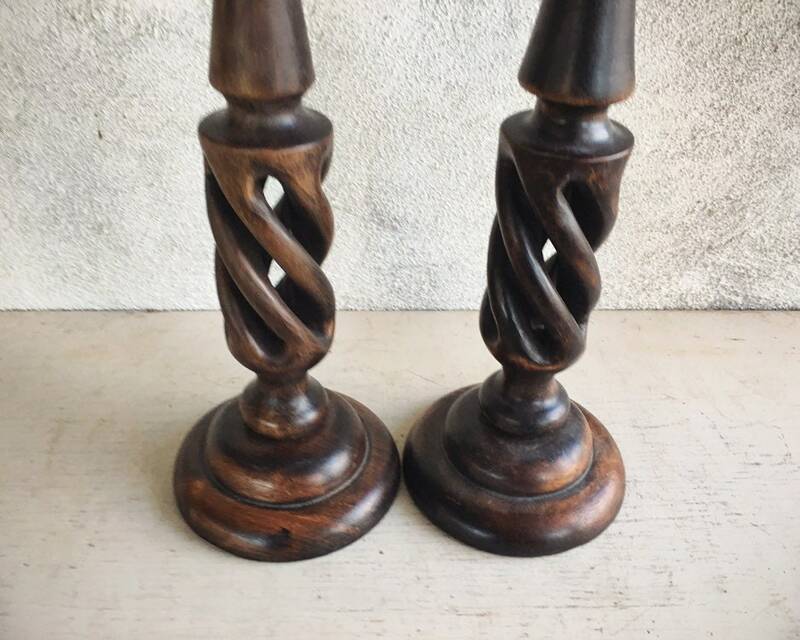 These candlestickes are so beautiful! They are going to look great on our dinning table... I'm gonna add a picture soon :) terrific transaction, thank you! We are going to enjoy them a lot.